Two years ago our family bought a 25 foot boat with a full cuddy including a bed, small kitchen area, and small bathroom. After having a 19 foot fish-and-ski for a few years we decided to upgrade to something a little more family friendly. 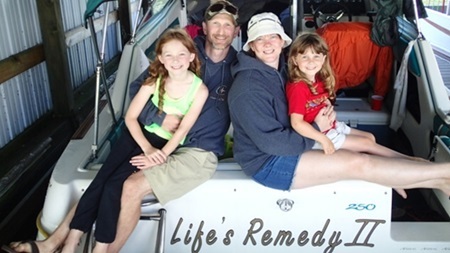 What we didn’t realize when we purchased the bigger boat is how many wonderful family memories we would make on it. We bought the boat late in the summer of the first year so we spent most of that summer just learning the ropes of it and cruising around the lake and up and down the river. Last summer was our first time camping with it. 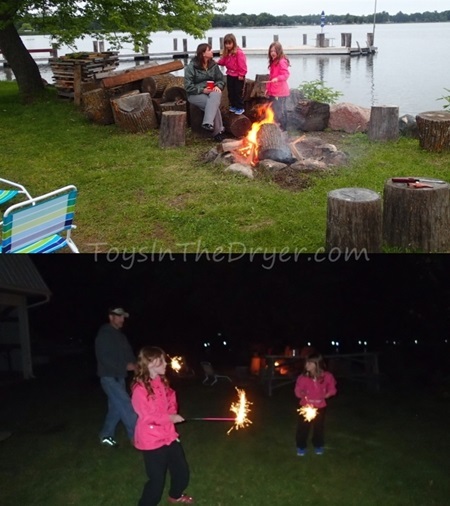 We spent two nights beached on an island in the St. Croix river. The whole family loved it. This year hubby and I planned our schedules so we could take a four day camping trip on the river. As Mother Nature would have it, it’s been raining galore in our area and the river is flooded out. All the lakes in the area are flooded also. The girls were disappointed that we would not be taking our trip. So…I found a marina on a large lake about two hours north of where we live that would allow us to dock our boat overnight for a few nights. It wasn’t like the river like we are used to but it had some advantages we did not expect…When it rained, we weren’t stuck in the boat. Because the slip was covered, we could hang out on the dock and in the boat. We also had electricity so we could use the air conditioning the night it was super hot. The only real disadvantage was that we were on a lake so there was not a pump-out station for our bathroom. We had to use the bathroom on shore. That was inconvenient in the mornings. 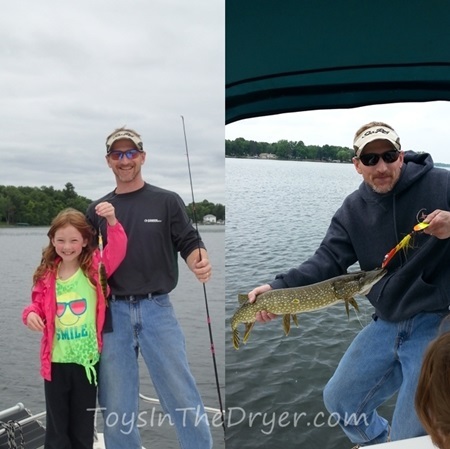 We fished from shore, from the docks, and from the boat. Nutty caught a small perch and Hubby caught a Northern. Tottie was disappointed that she didn’t catch anything. 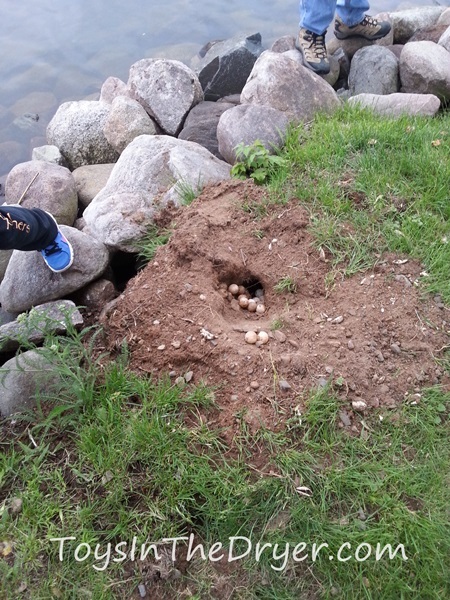 And we even saw what we think are turtle eggs (which unfortunately were all eaten by the next day, so goes the circle of life…). The best part of the whole trip, however, was having un-plugged (for the most part) time with the family. 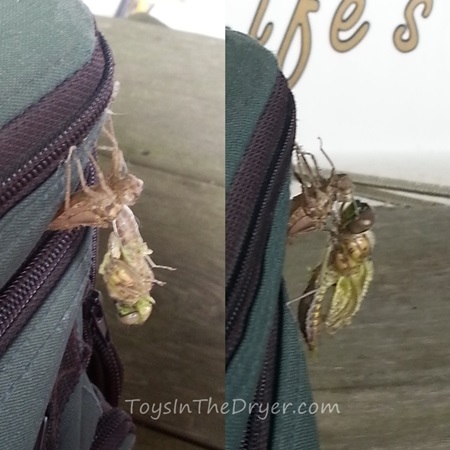 Another year of camping on our boat is done but there are many more years to come. So Jealous!! We want a boat we can take off in and just let the water carry us to new places. It’s too bad about all the flooding, but I’m glad you guys found a spot to chill! What a great trip! I love that you were able to unplug (a little) and enjoy the time together. 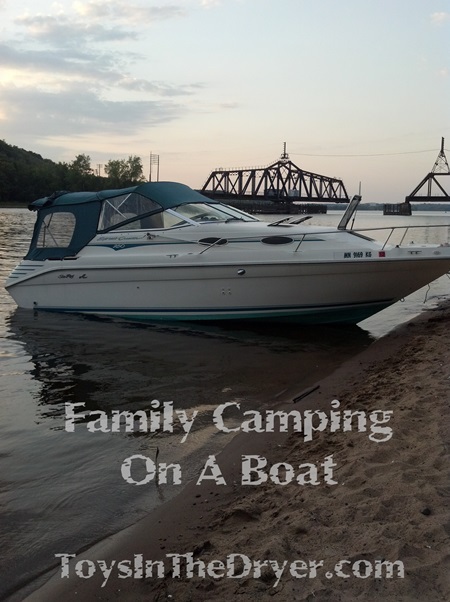 I have never been camping on a boat, but I am totally open to it after seeing how much fun you had. Now THAT is my kind of camping! Sounds like fun! I dated a guy who had a yacht (not giant yacht, it was like 26 ft) and lived on it. He loved the lifestyle. You’re making the best memories by doing that. What an awesome summer experience. That is soooo cool! I have always wanted a boat, what great memories for your family! What a fun experience to go camping on a baot! 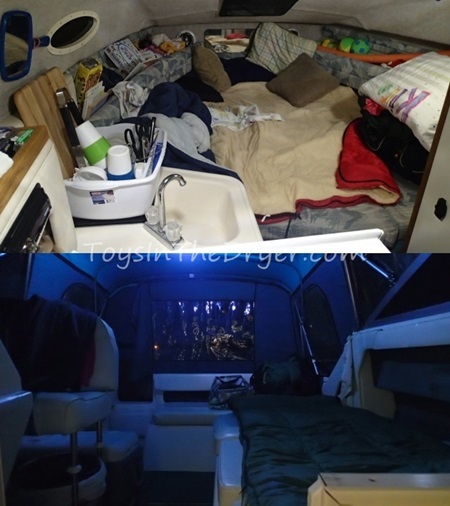 Oh I LOVE camping on a boat. 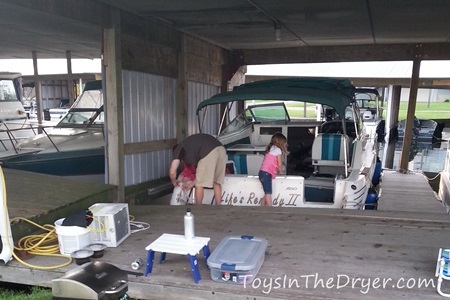 Some of my best childhood memories are of us staying on the boat for days! So cool!